Pantech requested a unique holiday card that could be sent to their clients over the holiday season. The holiday card needed to be generic while still feeling like it was in the spirit of the season. 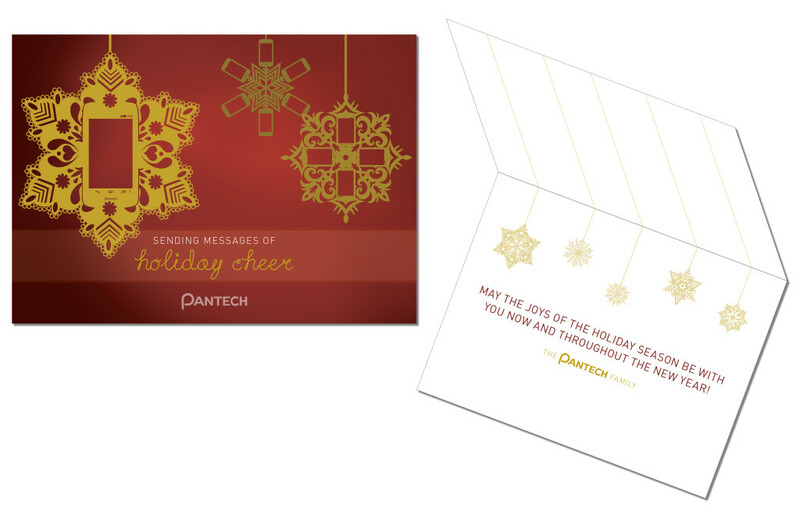 The original idea to have snowflake ornaments led me to incorporate some of Pantech’s products – cellphones – into the artwork. It provided a subtle touch of what Pantech provides as a company while working well into the overall design. The snowflake theme was carried over into the interior card with a client-provided holiday message below.